Valentine's Day, some people love it, some people hate it. Regardless, why not use it as an excuse to buy a new outfit! This quirky girl get up could easily transition from day to night, so will be perfect no matter what your plans. 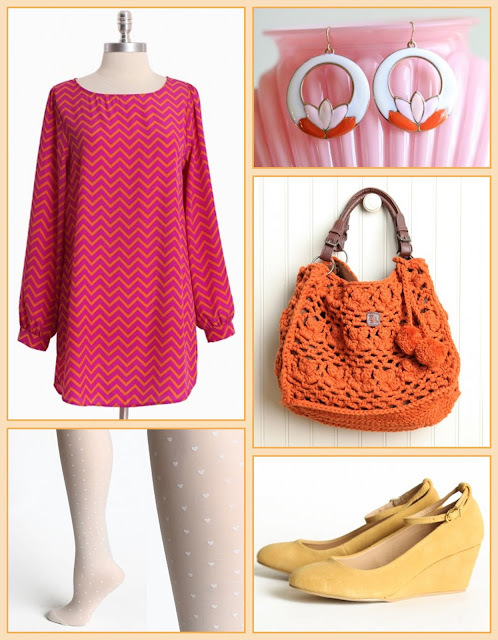 Three cheers for Ruche who always has affordable cutie patootie clothes and accessories!